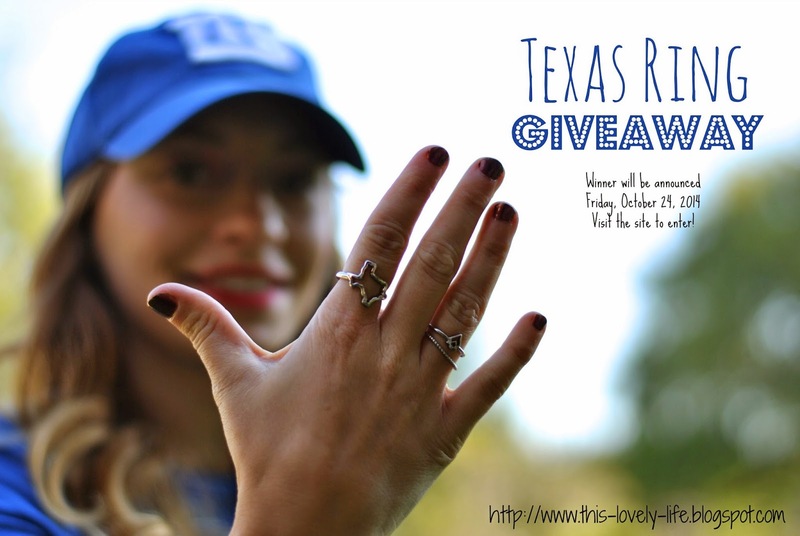 I picked up this Texas ring at Charming Charlie last week and love it so much, that I decided it was time to host my very first giveaway! Check out the different options for entering below and feel free to do as many as you like! The giveaway winner will be announced here on Friday, so make sure you check back! Good luck! 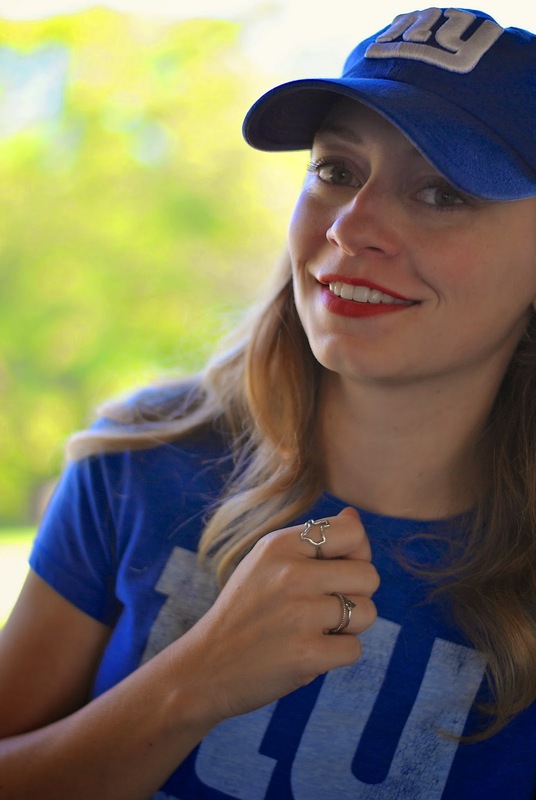 My favorite accessories are necklaces, earrings and rings! Ha I like them all! I saw this on FB earlier & thought, hey that looks like Nikki! Didn't pay enough attention to realize it is!! I am a ring and necklace kinda gal....but a leather bracelet sure pulls my heart strings!! MT FAVORITE IS RINGS!!! I FEEL NAKED WITH OUT THEM! I'm an earring girl. I feel prettier if I have them in, even if they are the same pair everyday.